The lunch we had at Mum’s Kitchen Restaurant was most memorable because it was the meal with the most no. 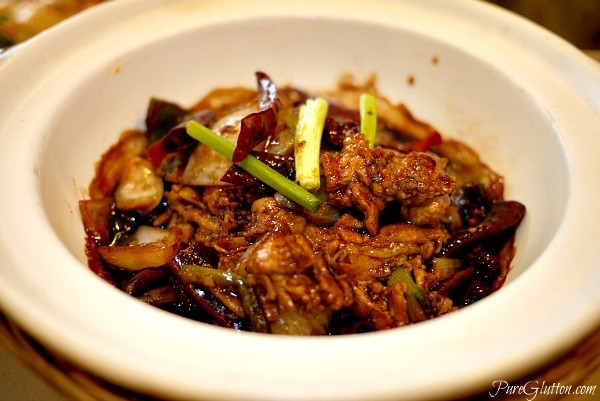 of claypot dishes we’ve ever had! Pot after pot, they came… smouldering and bubbling, giving out the most heavenly aromas even before the pots touched our table. 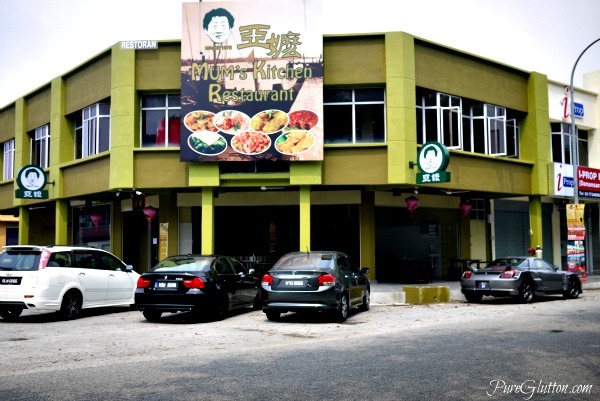 Recently relocated to Subang, Mum’s Kitchen Restaurant, which used to be in Kota Damansara as “Mum’s Seafood Noodles House”, serves hearty dishes – well-loved dishes that many Chinese mothers would cook at home. Most of the dishes call for mountains of rice, simply because they are just too good to eat on their own. So, be warned. 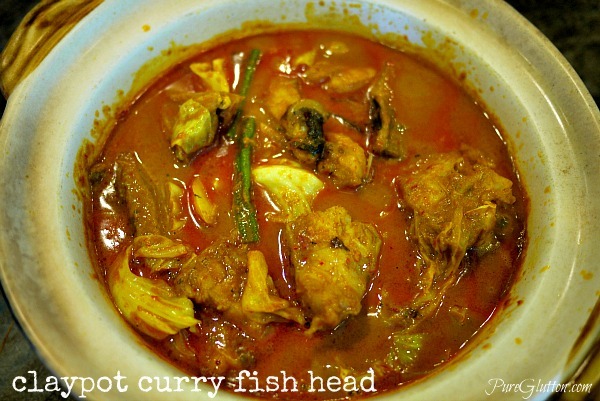 Fish head is a popular item in Mum’s Kitchen Restaurant. 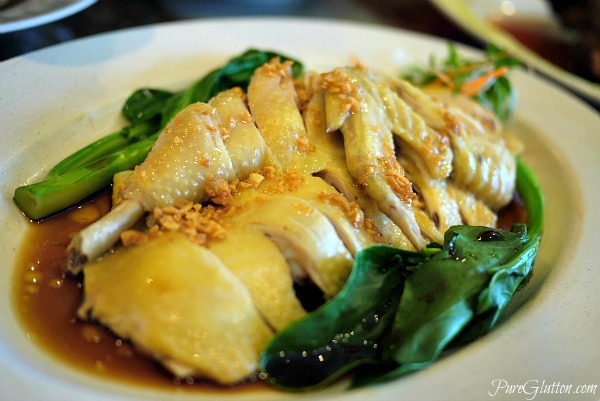 There’s a list of fish head dishes, done in a variety of ways, in the menu. I think we tried more than half of those dishes, too! 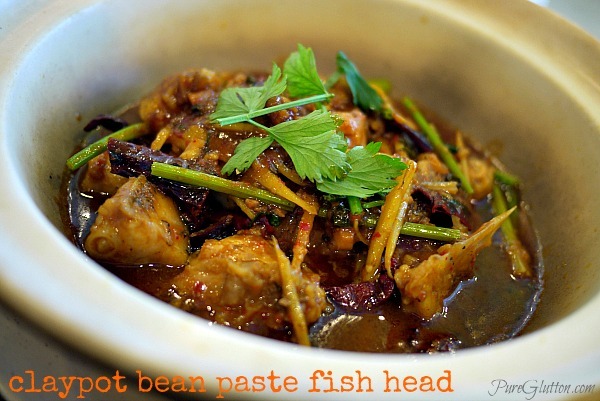 From spicy to non-spicy, every pot of fish head that came our way was met with exclamations of satisfaction. There’s the regular Curry-style and there’s also a Nyonya Curry version. The thick spicy curries will have you piling on the rice and I love the brinjals, cabbage, okra and tomatoes in the pots too. 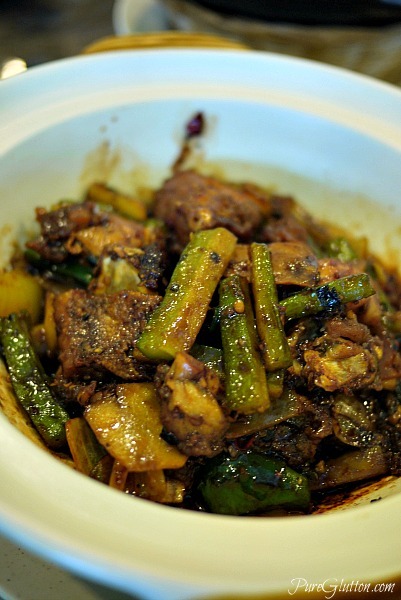 Then there’s the Braised with Bean Paste style and another pot had chunks of bittergourd braised in black bean paste. The fish head used is from the garoupa… every piece was meaty and succulent and the fish lips were deliciously gelatinuous. 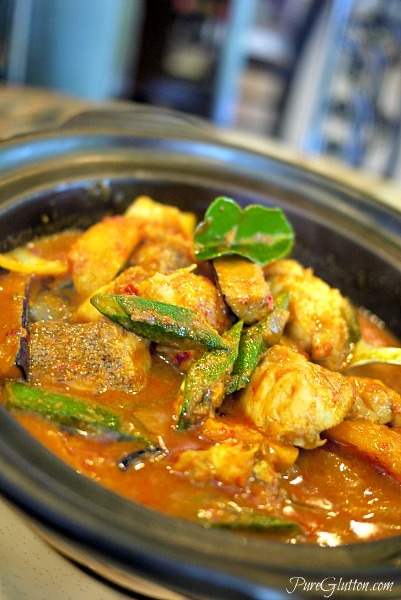 The claypot fish head dishes come in small and large portions, priced at RM33 and RM53 respectively. 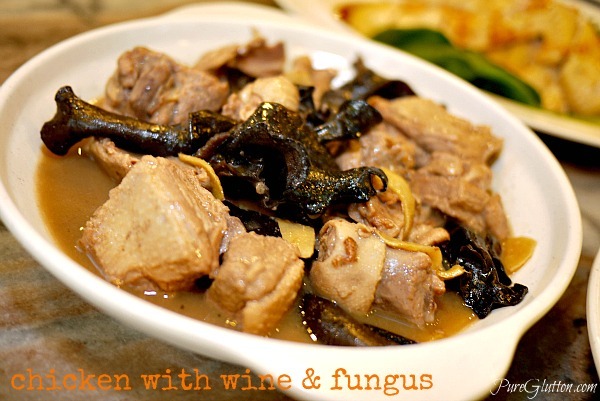 Besides fish head, we had claypots of Braised Tofu and Mutton Belly (RM28). 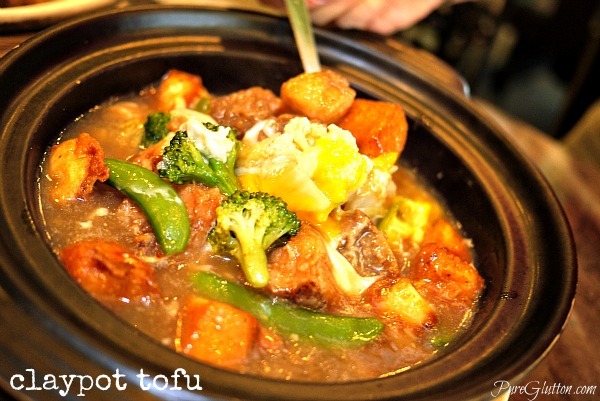 The braised tofu pot comes with broccoli, sweet peas and sweet corn in it as well. 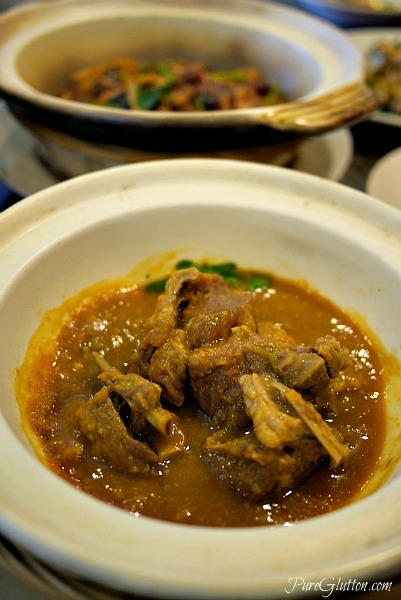 We love the mutton belly pot as the meat has been braised till tender yet still yielding a good bite and the sauce is redolent with chinese herbs and spices which work well with the gamey mutton. 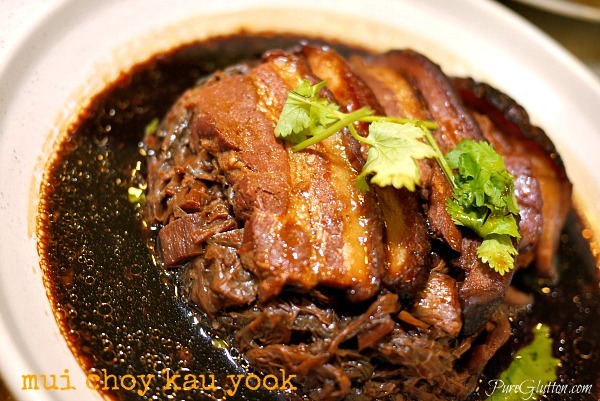 Not to be missed is their Pork Belly with Pickled Vegetables – Mui Choy Kau Yook (RM18). Just look at those pieces of gloriously glistening pork belly sitting on a bed of mui choy and you know you are in for a great porky time. Another popular porky pot is the Pork Belly with Salted Fish (RM18), tosssed with dried chillies, Bombay onions and spring onions – totally decadent. 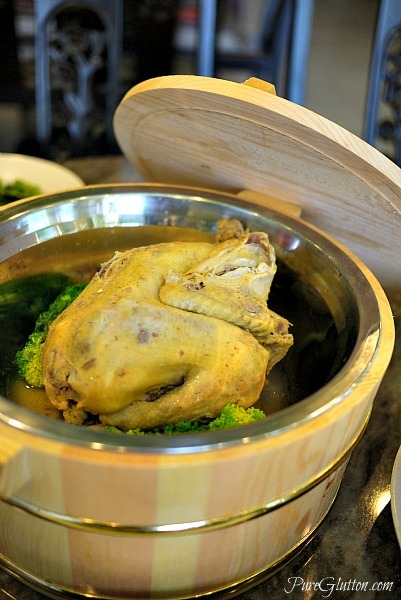 Chicken lovers will swoon at the Poached Village Chicken with Kai Lan (RM25), the Chicken with Fungus in Wine and the Bamboo Tub Chicken. One of my favourite items is their Salted Eggyolk Lala with Buttermilk Sauce (RM16)…. 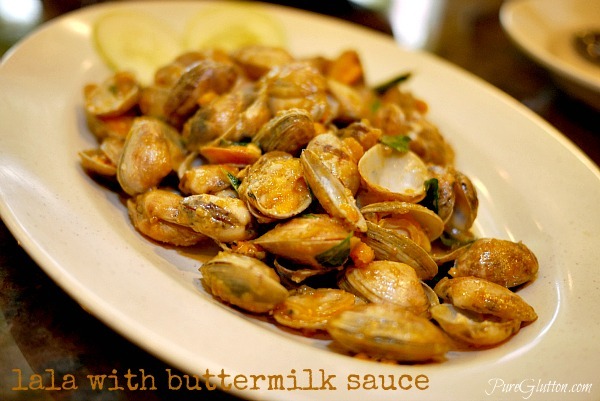 where every morsel of the clams was coated with a golden yellow layer of the grainy eggyolk. No shell was left unturned and every bit of the eggyolk crumbs was gone by the time we were done with this dish. 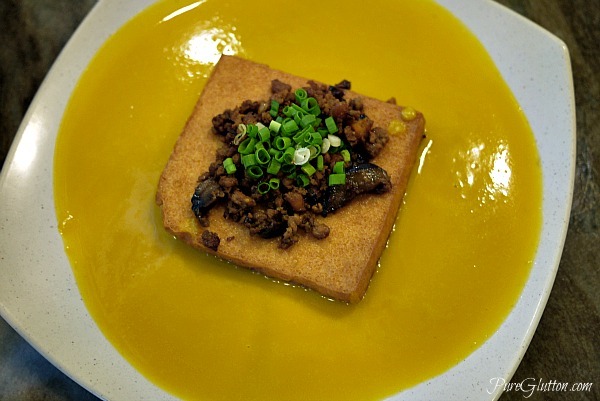 The Pumpkin Tofu is the prettiest dish, I think… a square piece of beancurd, topped with minced meat and sitting on a pool of bright yellow creamy mashed pumpkin sauce. The beancurd has a thin crispy skin, having been fried in high heat, yet maintaining its soft smooth wobbly centre. I loved the creamy pumpkin sauce… we did justice to it by mopping up all the sauce. 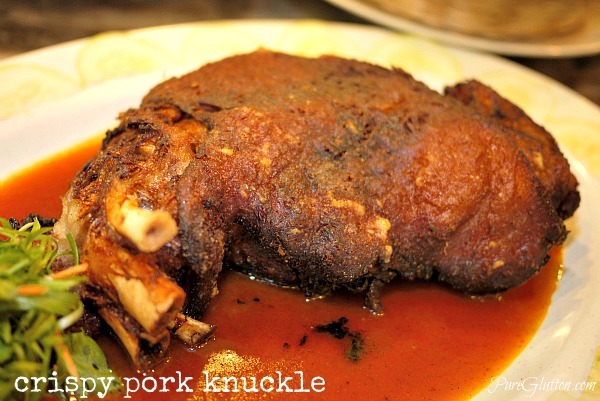 The Monggolia Pork Knuckle (RM45) is a huge piece of trotter, I tell you. Braised and then deep-fried, the skin was nicely crunchy while the meat and tendons inside were tender … swipe these with the tangy Monggolian sauce and I guarantee every pork lover will be truly and wonderfully satiated. We tried a plate of their special Lobak. 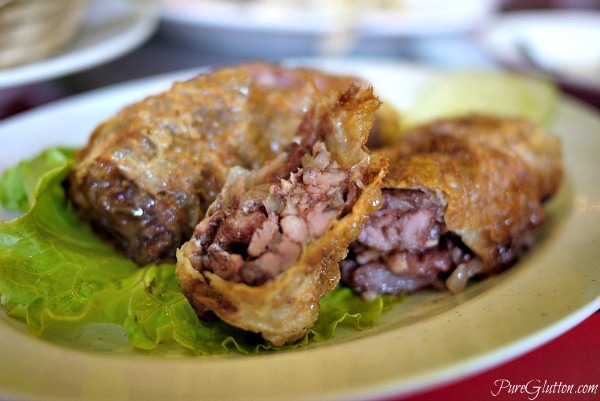 Strips of pork, fragrantly marinated with 5-spice powder and strips of yam were stuffed and rolled in beancurd sheets before being deep-fried. This is real authentic stuff, something that my mother-in-law used to prepare at home years ago. There are a number of one-dish items in the menu (noodles and rice) and if you wish to try these, their signature Fish Head Beehoon (RM7) would be a great choice. 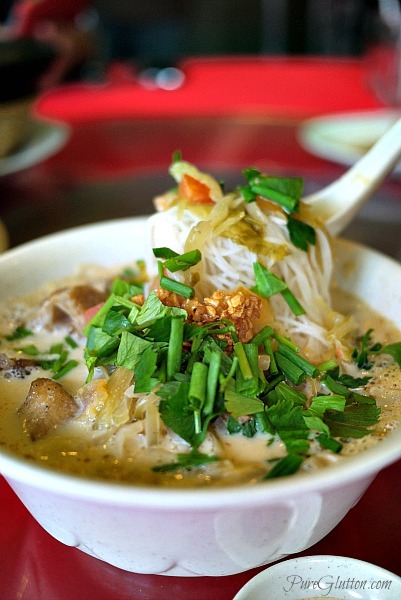 Rice vermicelli soaking in a milky broth with fish head chunks, pickled vegetables and beancurd were simply too hard to resist! After all, this restaurant started out as a Noodles House so you really can’t go wrong with their noodles. Ya… it was a mindboggling array of pots and plates of delish food, haha! I love the salty egg yolk lala too. They are darn generous with the egg yolk! Returned soon after and it was just as good and received thumbs up from my foodie friends.